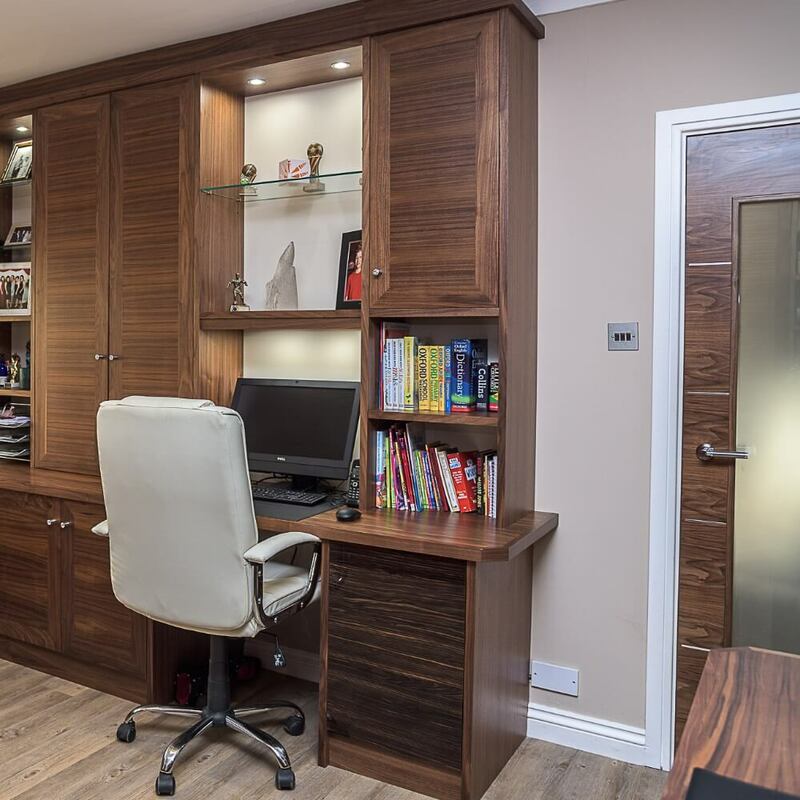 A contemporary custom made home office with three workstations. 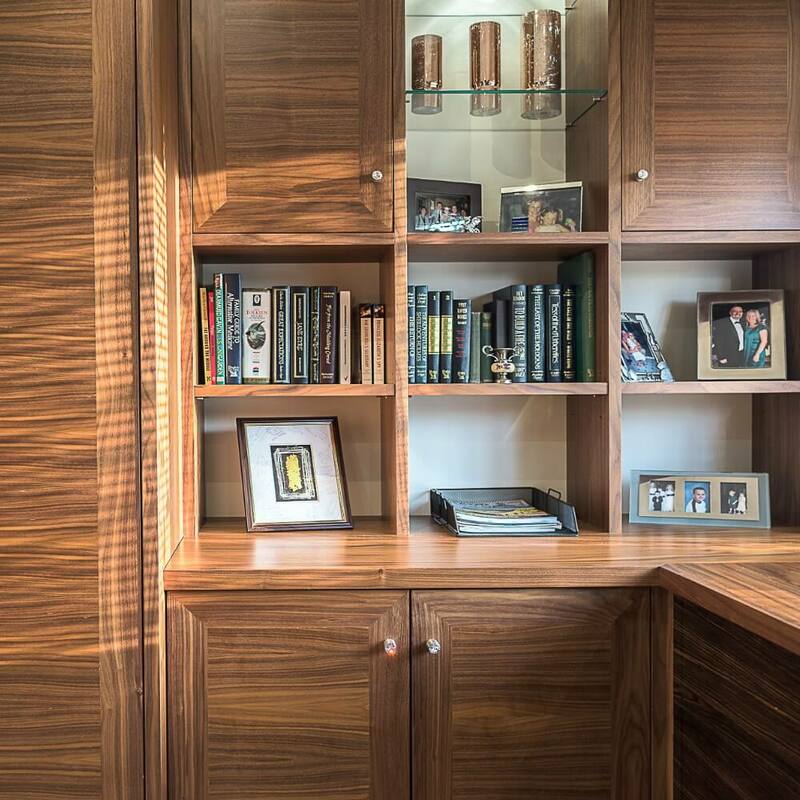 This study features American Black Walnut Wood and Swarovski Crystal Polished Chrome door knobs for a stylish appearance. 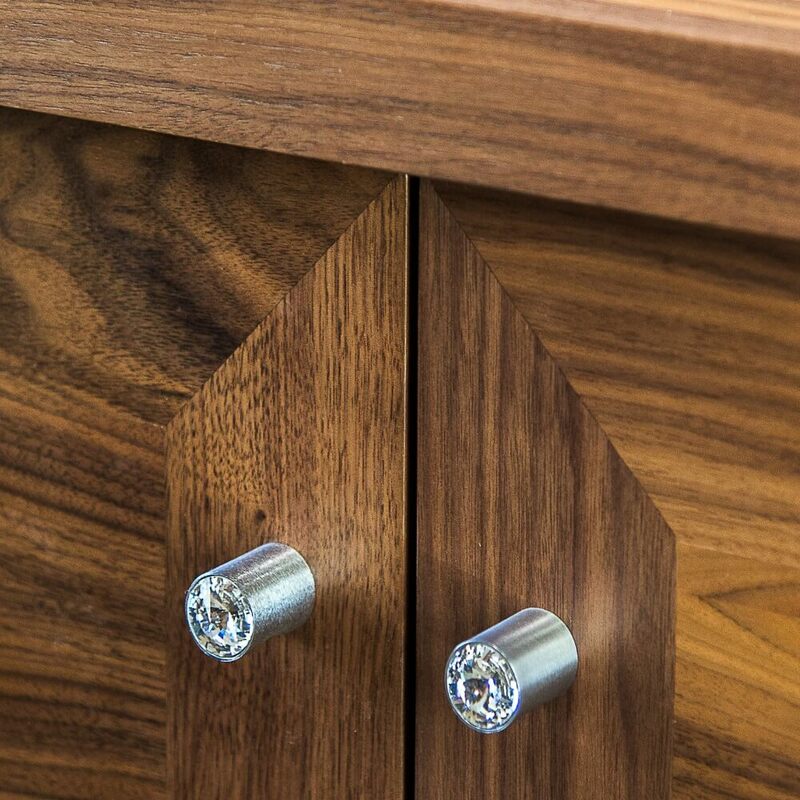 A modern workplace that features clean lines and innovative storage solutions can be achieved with bespoke furniture. 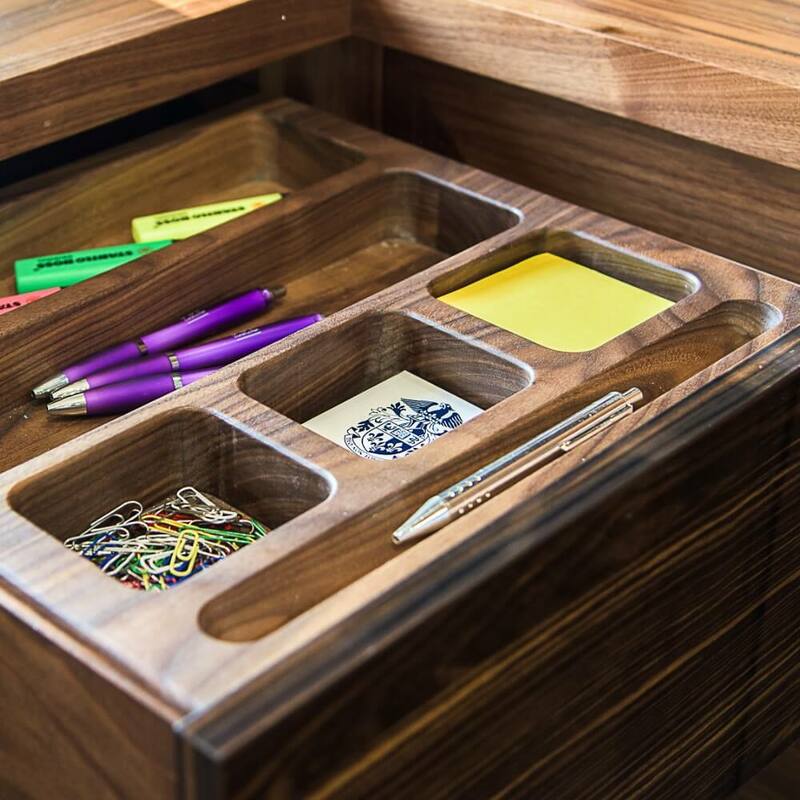 We have a variety of materials and finishes available which means the possibilities are endless when it comes to designing a stylish contemporary office or study. For an ultra modern minimalist look consider having wall mounted cabinets so that you can keep your office free of clutter.